A high quality, high value touring tire that provides exceptional all season handling, performance and ride comfort combined with long lasting tread life. 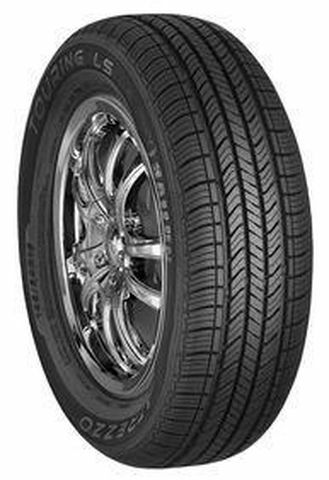 225/60R -17 640AB 1,709 lbs 44 psi 10/32nds 7" 9" N/A 26"
Purchase includes the Sailun Atrezzo Touring LS tire only. The wheel rim shown in the picture is not included. Picture provided is a stock picture from the manufacturer and may or may not reflect the actual product being ordered. All Sailun Atrezzo Touring LS tires are continuously developing with manufactured improvements. With that said, Simple Tire and the manufacturers have the right to change these tire specifications at any time without notice or obligation. Please Note: Specifications of the Sailun Atrezzo Touring LS tires shown above are listed to be as accurate as possible based on the information provided to us by Sailun tires. This product is covered by a 70,000 mile manufacturer’s treadlife warranty. Very comfortable and quiet. Great handling and control. these tires are amazing. I've had them for about 4 months now and already have put over 10,000 miles on them, but they're still holding strong. I live in Chicago which is a mecca for potholes, even though I've gone over quite a few of them I still haven't gotten a flat tire not even so much as a leak. The handling is very good with these tires especially in rain. The tread life is also really good considering I've already put ten thousand miles on these tires and the treads are still look pretty much the same.I highly recommend purchasing these tires very affordable and very good. The tires shipped in 2 days even though they said it would be up to 5 days and they helped me get the correct tire size.